Israeli billionaire Teddy Sagi’s company has bid $700 mln for Plus500, the trading platform hit by a watchdog-mandated freeze on accounts. Playtech could flog online smarts to retail brokers – as it has in the gaming sector. But there may be fewer big players in need of advice. 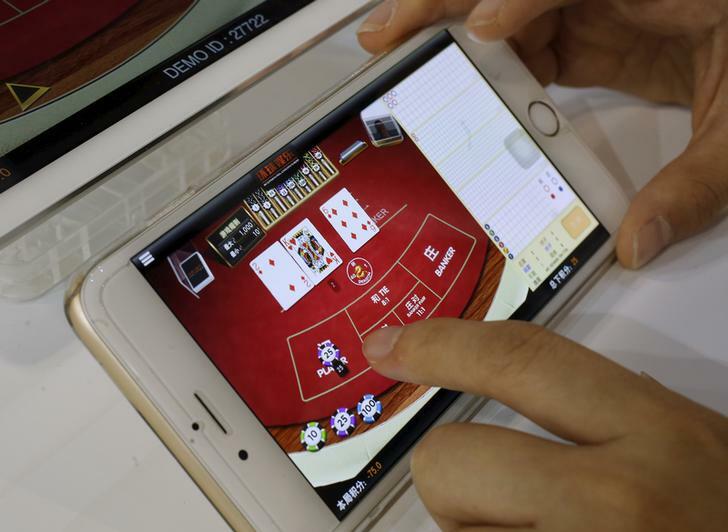 An attendant demonstrates an online baccarat game on a smartphone at the Global Gaming Expo (G2E) Asia in Macau, China May 19, 2015. Israeli billionaire Teddy Sagi’s Playtech said on June 1 that it would buy retail currency trading business Plus500 for 460 million pounds ($700 million) in cash. Plus500’s market capitalisation has halved in the last two months from about 860 million pounds, following a Financial Conduct Authority order for it to freeze its customer accounts in the wake of a review of the trading company’s anti-money laundering processes. Playtech’s offer represents an 8.1 percent premium to Plus500’s most recent closing price and Playtech said it expected to complete it by the end of September. The bid has been backed by Plus500’s founders, who represent 35.6 percent of the company’s outstanding shares. By 1234 GMT, shares in Plus500 rose 0.9 percent to 373 pence. Shares in Playtech were down 1.1 percent to 821 pence.